The Delhi-NCR market witnessed cautious and strategic new launches under the watchful eye of the Real Estate (Regulation and Development) Act, 2016. Green shoots of recovery were seen on the demand side with sales numbers faring well in 2018, indicating a slight revival of confidence in the market. The unsold inventory stood at approximately 142,007 units as of December 2018. Greater Noida and Gurugram accounted for approximately 65 percent of the unsold inventory in NCR followed by Ghaziabad and Noida, says a new report by Knight Frank India. Low investor interest and an inventory overhang of more than one lakh residential units kept real estate developers cautious of increasing the prices in the Delhi-NCR market that witnessed a marginal 2 percent increase. The market saw approximately 15,819 units launched in 2018 compared to 11,726 units in 2017. Maximum launches (almost 52%) were in Gurugram, followed by Greater Noida and Ghaziabad, says the report. As expected, ready-to-move or are nearing completion garnered more enquiries from buyers. Buyers were not confident to invest in or risk buying an under-construction project. 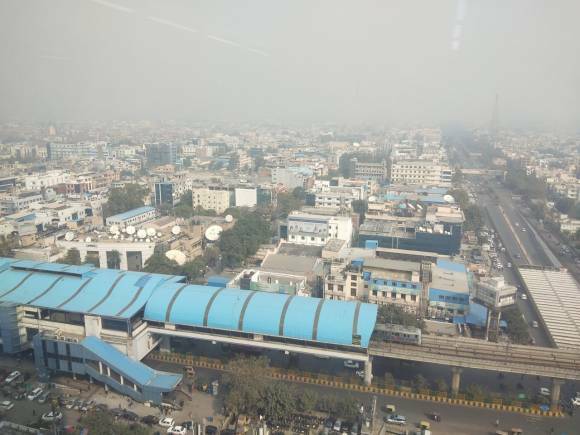 Ghaziabad and Greater Noida emerged as NCR’s better performing markets, with a quarter-to-sell of 13 quarters, closely followed by Noida at 14 and Gurugram at 18 quarters. The quarters to sell unsold inventory (QTS) is the number of quarters required to exhaust the existing unsold inventory in the market. Infrastructure delays such as the Dwarka Expressway held back interested buyers, primarily end users. Another factor contributing to this sluggish demand is that the fresh inventory with builders is in direct competition with the inventory lying with investors who are ready to take a hit and exit the property. The Delhi-NCR residential real estate market has been under immense pressure due to infrastructure delays and litigations that has translated into a lack of confidence amongst residential buyers. It is because if this reason that it has the highest unsold inventory across eight cities. Further, the implementation of the Real Estate (Regulation and Development) Act, 2016 in the first half of 2016 and the Goods and Services Tax Act also adversely affected the already slow market and put business on the back foot. However, current market analysis shows that the sector is slowly adjusting to the policy restructuring and green shoots of recovery can be seen on both the supply and demand side. New launches in NCR registered a 35 percent growth in the number of units launched in 2018, with approximately 75 percent of the new launched units falling in Gurugram and Greater Noida. The market saw approximately 15,819 units launched in 2018 compared to 11,726 units in 2017. On a half yearly comparison, the new launches in NCR stand at 6,696 units in the second half of 2018, which is in the same range of the second half of 2017. Gurugram contributed significantly to the new launches in NCR in the second half of 2018, taking up 52 percent of the overall pie, followed by Greater Noida and Ghaziabad. While previously, Gurugram saw new launches in the affordable housing category, the period of the second half of 2018 had notable developers launching new projects in the above Rs 75 lakh price bracket. New launches in Noida and Greater Noida have also registered a slight revival in 2018 with developers launching new projects majorly in sector 150 in Noida and Sectors 1, 10, Pari Chowk and Zeta 1 in Greater Noida. Accumulating inventory, debt laden prominent developers and delayed projects in locations such Greater Noida West, and Noida Greater Noida Expressway has put pressure on the developers to complete projects in hand than launch new ones. Low investor interest and an inventory overhang of more than one lakh units has made the developers cautious of increasing the prices. Weighted average prices in the NCR residential market have registered a marginal 2 percent increase over second half of 2017, which effectively translates into a stagnant market. Sales have started to look up in 2018. On a yearly comparison approximately 40,646 units were sold in NCR in 2018, registering a growth of 8 percent over the 2017 sales numbers. The second half of 2018 registered a 10 percent growth over the same period in 2017 and helped propel the uptick in sales. As expected, ready-to-move or are nearing completion are garnering more enquiries from buyers. Buyers are not confident to invest in or risk buying an under-construction project. Greater Noida yet again takes the lion’s share of the demand in 2018 with 50 percent of the overall sales coming from this affordable micro-market, which is distantly followed by Ghaziabad and Gurugram at 19 percent and 17 percent, respectively. Majority of the projects in Greater Noida are in the less than RS 50 lakh price bracket and are driving demand in this market. Regardless of having no major employment pull, the micro-market is not only attractive to buyers of Noida and Greater Noida but also adjacent tier II cities of Uttar Pradesh such as Mathura, Agra and Aligarh due to its affordability. The second half of 2018 fared well for the Greater Noida market with a more than 100 percent growth in sales in the second half of 2018 as compared to the same period in 2017. Demand in Gurugram has somewhat remained tepid in 2018. Infrastructure delays such as the Dwarka Expressway is holding back interested buyers who are majorly end users. Another factor contributing to this sluggish demand is that the fresh inventory with builders is in direct competition with the inventory lying with investors who are ready to take a hit and exit the property. Demand in Noida has also failed to impress in the second half of 2018. The market registered a year-on-year 26 percent decrease in sales compared to the second half of, market sentiments remain lukewarm, the report says. Should you invest in Delhi-NCR and where? Yes. Home buyers who intend purchasing a house for self-use, you can certainly look at this market. “We are already seeing green shoots of recovery, volumes have started to pick up,” says Mudassir Zaidi, Executive Director – North, Knight Frank. As far as locations are concerned, New Gurgaon (Sectors 80 to 100) market seems to be a good bet. Several projects in this market are seeing completions. Commercial stock is also coming up in the area. Price range is from Rs 60 lakh to a crore. Greater Noida West is another market to look out for in Noida. Here too projects are getting completed. Connectivity is bound to improve. Price range is from Rs 50 lakh to Rs 75 lakh. Sector 150 along the Noida-Greater Noida Expressway is another market to watch out for. Projects in this market too are fast getting completed. Price range is from Rs 50 lakh to over a crore.